This past week, October 26th -October 30st, sixteen players from around the world gathered to compete in the group stage of the Hearthstone World Championship. The final eight players will move on to the World Championship at BlizzCon in Anaheim, CA on November 4-5th. 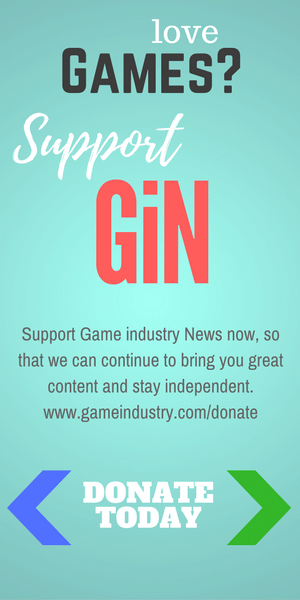 Each of the four groups was made up of one player from each region (Americas, Europe, Asia-Pacific, and China). 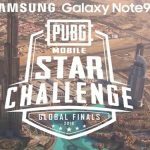 For the group stage two players from each group competed in a dual tournament format with the top two of each group moving on to the Quarterfinals. The final eight go on to a single elimination bracket. All matches were played in a conquest format, best of seven, with one ban. The Americas region had a strong showing at the group stage with three players moving on to the championship. China has one player, and two come from both the Asia – Pacific region and Europe. 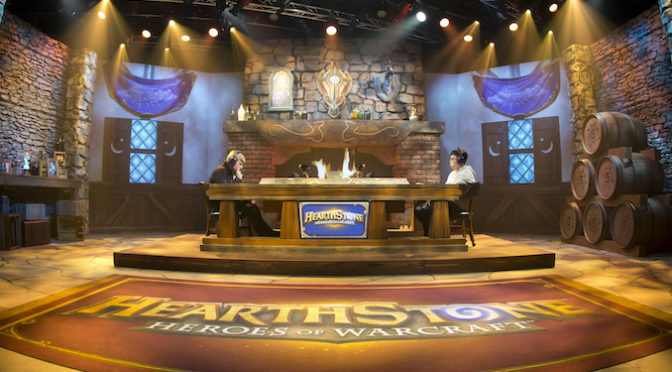 It was an exciting round of first matches for the 2016 Hearthstone Championships with some strong contenders emerging for a stake in the $1 million prize pool. 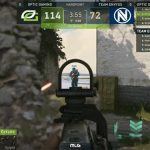 Exciting at it was with the worlds top players the group stage was not with out its upsets. One of the biggest surprises of the week was the defeat of Handsomeguy to Cydonia. South Korea’s Ilmook ‘Handsomeguy’ Kang was a fan favorite coming into this competition and had a strong showing during the Asia – Pacific Spring championship. Cydonia during his match with Handsomeguy. Photo courtesy of Blizzard. Canadian Julian ‘Cydonia’ Perrault was the winner of Americas Spring Championship. Their first match-up on October 26th ended in game four when Cydonia was on his Warrior deck and his final deck. Handsomeguy choose his Hunter deck. Near the end, Handsomeguy was playing with a weak hand and few cards to choose from giving the advantage to Cydonia. He was able to play strong cards like Twin Emperor Vek’lor and Armor Up to protect his hero. A Kill Command, a three damage card or five if you have a beast, by Handsomeguy put Cydonia down to three hit points. However, Cydonia ups to 14 shield and with Handsomeguy out of any cards to stop Cydonia, Handsomeguy conceded the match to give Cydonia a 4-0 win. Handsomeguy during his first match with Cydonia. Photo courtesy of Blizzard. On Sunday Cydonia again bested Handsomeguy in game five of the match. Cydonia was on his Warrior deck and Handsomeguy his Druid. Both started out by using Armor Up and Handsomeguy took first damage with hero power. However, Cydonia played his C’Thun, a 6/6 minion dealing equal damage to all enemies. A Beckoner of Evil gave 2/2 strength to C’Thun. A second C’Thun and Armor Up gave Cydonia the advantage. Damaging Handsomeguy with his minions Cydonia drew a Twin Emperor card. Handsomeguy followed this with a Wrath, Frandral Staghelm minion, and a Raven Idol. Living Roots took out the second C’Thun. Living Roots can either deal two damage or summon two 1/1 saplings. Handsomeguy then played a Ragnaros, dealing eight damage at the end of his turn, and took out one of Cydonia’s Emperors. Cydonia hit back with Shield Slam and along with minion damage pounded Handsomeguy down to six health. C’Thun destroyed Handsomeguy’s minions and dealt damage. Even though Handsomeguy played Malygos at the end, with five spell damage, it put him into a tight spot and knowing he could not defeat Cydonia’s C’Thun. Handsomeguy conceded to Cydonia for a 4-1 win. The other Americas players moving on are 15 year old William ‘Amnesiac’ Barton and Edwin ‘HotMEOWTH’ Cook from the United States. 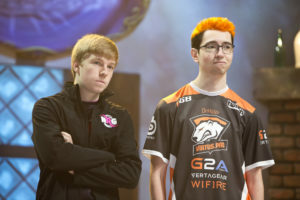 Amnesiac and DrHippi during the Group Stage at the Hearthstone World Championship. Photo from Blizzard. Amnesiac first played against Hong Kong’s Chun Pong ‘Yulsic’ Ng for a 4-2 win using a Druid deck in game six. 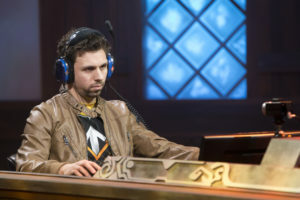 He went on to win his spot at BlizzCon with a match against Ukraine’s Artem ‘DrHippi’ Kravets with a 4-1 win using a Shaman Deck against DrHippi’s Mage in game five. DrHippi went on to secure his spot with a 4-2 win against Yulsic, won on a Warrior vs Warlock deck. HotMEOWTH vs PAvel at Hearthstone World Championship Group Stage. Photo courtesy of Blizzard. HotMEOWTH took a top spot when he went up against China’s Zheng ‘OmegaZero’ Lin for a 4 – 3 win with a Hunter deck in the final game vs Omega’s Shaman. His second match was against Russia’s Pavel ‘Pavel’ Beltukov for a 4-1 win with Shaman. Pavel took the second Group D spot with two wins, one against OmegaZero for a 4-3 win using a Rogue in the final game against OmegaZero’s Druid. 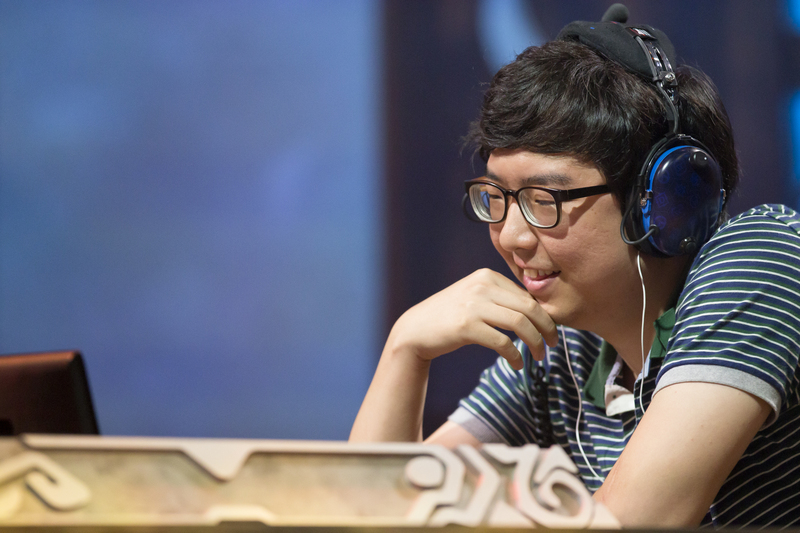 The second Match was against South Korea’s Sang-Hyeon ‘DDaHyoNi’ Baek for a 4-0 win with a Warrior deck against Druid in the final game. Another big suprise was the defeat by Thijs ‘ThijsNL’ Molendijk from the Netherlands. 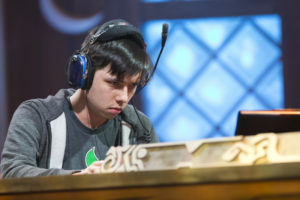 He was the only returning player from last year’s World Championship but failed with a loss against Jasonzhou for a 3-4 defeat against Jasonzhou’s Rogue. Thijs had another 3-4 loss to Handsomeguy. The final game was against Handsomeguy’s Warrior and Thijs’s Druid. 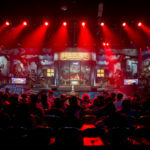 Other players that have secured spots at BlizzCon are China’s Jason ‘Jasonzhou’ Zhou, South Korea’s Kim ‘che0nsu’ Cheonsu, and China’s Zhou ‘Hamster’ Wang. 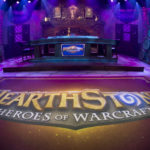 Hearthstone fans can catch all of the upcoming World Championship action on Twitch, MLG.tv, and on www.blizzcon.com.